← 802.11n Now Officially Ratified – No longer a Draft! I feel like I just hit the jackpot. I’ve been bemoaning the lack of support for Nikon NEF 64 bit support for as long as I can remember inside Windows Explorer. And I’ve been wishing for RAW support for NEF inside Media Center forever. I’m happy to say that there is a really nice solution. pack at http://www.fastpictureviewer.com/codecs/ had all the answers and gave me the brass ring. *.nef, *.nrw Nikon Raw Image Y Y Can be configured to skip raw conversion and always use embedded previews. 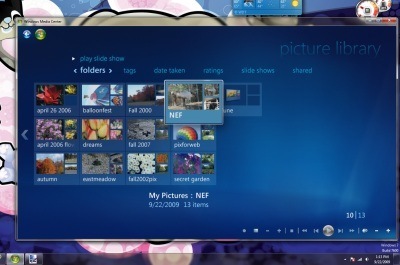 All formats WIC Thumbnail provider for XP Provides support for thumbnail views in Windows XP Explorer (SP3), for all the above formats and all existing WIC-enabled codecs. All formats WIC Import Plug-In for Photoshop Enables Adobe Photoshop to directly import images from any installed WIC codec. The plug-in is available as a separate download in 32-bit only at this time (so it won’t work on Photoshop CS4 64-bit edition for the time being). I shoot Nikon RAW NEF. And I have full support now inside Windows 7 RTM. 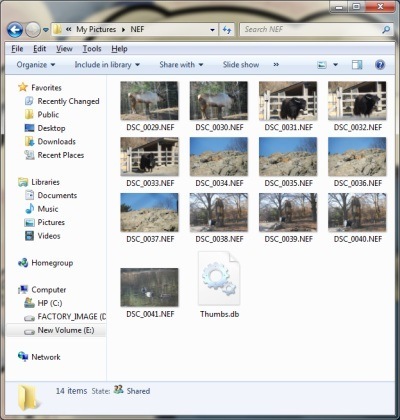 Explorer thumbnails, even inside Windows Media Center. Here’s the proof. Worth 3,000 words and a whole lot more. Yes, XP, Windows Vista, Windows 7 all can play with this. I’m excited, are you? 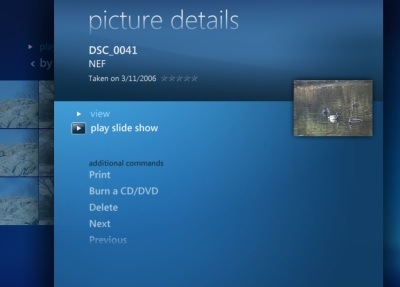 This entry was posted in Uncategorized and tagged Digital Photography, Windows 7, Windows Media Center. Bookmark the permalink.